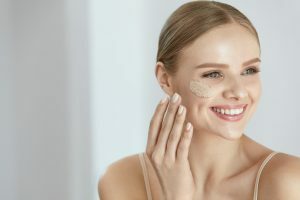 Whether you’re a skin care novice or consider yourself a self-taught skin care expert, it’s highly likely that you’ve used a product that contains some type of hydroxy acid. While the name sounds quite off-putting at first, don’t let its intensity fool you. Hydroxy acids have a number of different benefits that can help transform your skin. There are many different types of hydroxy acids and your skin’s needs will determine the best one for you. There are alpha hydroxy acids like glycolic acid and lactic as well as beta hydroxy acids like salicylic. Depending on which one you’re using, they can help to smooth uneven texture, tighten sagging skin, and brighten your complexion. So, how exactly do you know which hydroxy acid you need and what it can do for you? 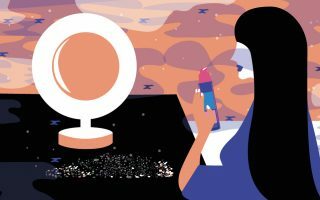 Let’s take a look at the main acids—alpha hydroxy acids, glycolic acid, lactic acid, salicylic acid—to explain exactly what each of these do so you that can begin to incorporate them into your healthy, glowing, skin care routine. When we talk about hydroxy acids, there are two different kinds we are referring to. Alpha hydroxy acids, which seem to be a name that most people are familiar with, are plant-based naturally occurring acids. Alpha hydroxy acids (also known as AHAs) are derived from sugarcane, milk, or fruit. You’ll find alpha hydroxy acids in skin care products that focus on stimulating the skin’s natural regeneration process which makes it a common acid in anti-aging products. Other benefits of alpha hydroxy acids include providing a gentle exfoliation process and helping skin retain moisture. The other type of hydroxy acid is beta hydroxy acid (BHAs). Like alpha hydroxy acids, beta hydroxy acids are also naturally derived from plants. They even have some of the main benefits when it comes to skin. The main difference between the two is their solubility. Alpha hydroxy acids dissolve in water while beta hydroxy acids dissolve in oil. This is helpful to know as your skin type will influence which type of hydroxy acids will work best. When hydroxy acids are infused into your favorite skin care products, they are able to break down dead skin cells and support healthy exfoliation. In lower concentrations, hydroxy acids can help significantly improve the complexion. In higher concentrations, alpha hydroxy acids are able to penetrate deeper into the lower layers of the skin which comes with additional benefits like supporting collagen and elastin—the essential proteins in your skin—and helping to improve the health of your skin from within. Now that we know what alpha hydroxy acids and beta hydroxy acids are, it’s time to take a closer look at the main ones. 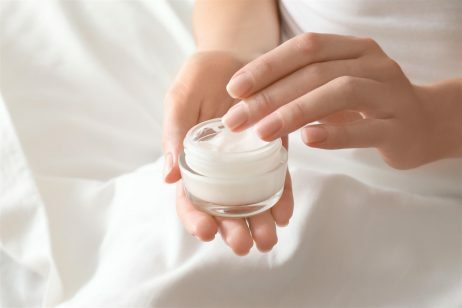 The following are some of the most common types of alpha hydroxy acids and beta hydroxy acids that you’ll find in most skin care products. Commonly referred to as the best alpha hydroxy acid of them all is glycolic acid. From skin care enthusiasts to dermatologists, glycolic acid is known to be the most effective alpha hydroxy acid. Glycolic acid is a naturally occurring alpha hydroxy acid that is derived from sugarcane. It is the smallest sized alpha hydroxy acid molecule which provides it with some serious penetrating abilities. Glycolic acid is the alpha hydroxy acid that is able to quickly penetrate deep into the lower layers of the skin. Glycolic acid works primarily to support healthy collagen production and provide exfoliation to the skin. And because glycolic acid is able to get so deep into the skin, it’s one of the alpha hydroxy acids that works best to improve the appearance of fine lines and wrinkles. Glycolic acid is also good for helping restore moisture to the skin. Not only does it help to retain moisture, but it also is known to prevent a loss of moisture as well. With these benefits, glycolic acid works well on various skin types but best for people with dry, mature skin. Those with more sensitive types, however, may find the deep penetrating abilities of glycolic acid too intense and should opt for one of the other popular alpha hydroxy acids instead. Another popular alpha hydroxy acid is lactic acid. Lactic acid is a naturally occurring acid that is derived from milk. Unlike glycolic acid, lactic acid is much larger in size making it a better treatment for surface level skin. Lactic acid is most known for its exfoliating benefits and restoring moisture on the surface of the skin. In higher concentrations, lactic acid is known for its skin lightening properties and ability to increase the thickness of the skin which makes it a great treatment for skin discoloration and reducing the appearance of wrinkles. Lactic acid is one of the more gentler types of alpha hydroxy acids so it works well for all skin types including sensitive. If you’ve ever picked up an acne fighting product, you’ve heard about salicylic acid. Salicylic acid is a naturally occurring beta hydroxy acid that is derived from willow bark. Like alpha hydroxy acids, salicylic acid is able to exfoliate the skin helping to remove dead skin cells. However, as the beta hydroxy acid on this list, salicylic acid is able to dissolve in oil and get deep into pores helping to decongest them and clear breakouts. Salicylic acid is antibacterial as well which is another reason it is a beloved acne fighting ingredient. 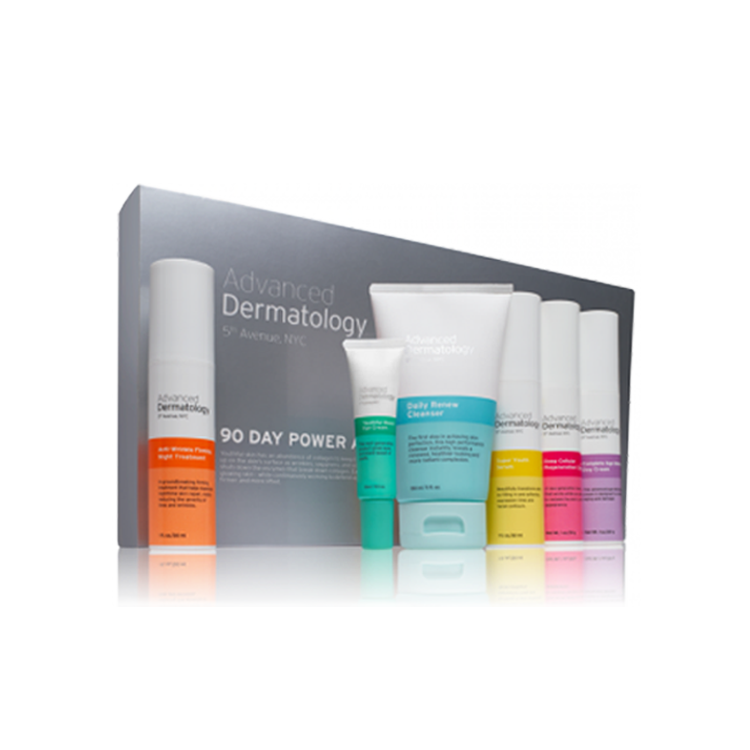 Another common benefit of salicylic that isn’t as widely discussed is its ability to combat hyperpigmentation. Salicylic acid is often used by darker skinned people to neutralize skin discolorations caused by hyperpigmentation. Of course, salicylic acid is best for people with acne-prone skin, but other skin types can appreciate its benefits as well. It can be a bit drying to the skin in higher concentrations, so always follow up with a moisturizer, especially those with dry skin. Start off slow. When you’re first getting started, it may be tempting to find the highest percentage you can and add it to your daily routine. Don’t. Even though alpha hydroxy acids and beta hydroxy acids can work for all skin types, you need to see exactly how much your skin can tolerate. A good way to test is to apply a bit of the alpha hydroxy acid or beta hydroxy to a small area of your skin and wait. In general, tingling is a good sign that the hydroxy acid is penetrating the skin and stimulating your skin. If your skin starts to sting and get red, you may want to try a lesser dose and see if your skin will have a less intense reaction. Know what to expect. Using alpha hydroxy acids and beta hydroxy acids can dramatically improve the appearance of your skin. Especially your complexion. By supporting skin cell renewal and encouraging exfoliation, the skin will look brighter, more even toned, and smoother. It’s important to note, however, that alpha hydroxy acids and beta hydroxy acids won’t do much to improve the appearance of deep fine lines and wrinkles. Although they are a common ingredient in anti-aging serums, alpha hydroxy acids and beta hydroxy acids work best as a preventative method in anti-aging skin care rather than a solution for mature skin. Always follow up with SPF. You should already have a quality sunscreen in your skin care arsenal but if you’re using alpha hydroxy acids, this is essential. Alpha hydroxy acids are known to increase the skin sensitivity to the sun’s UV rays. If you’re starting an alpha hydroxy acid regimen, be sure to follow up with a daily sunscreen and limit your exposure to the sun as much as possible. There are many different types of alpha hydroxy acid and beta hydroxy acid skin care products on the market today that can work really well in helping to improve the appearance of your skin. But for those who are looking for something a bit more intense, you might want to think about trying an alpha hydroxy acid peel. An alpha hydroxy acid peel offers a more intense exfoliation process that takes place over the course of a few months. These kinds of alpha hydroxy peels typically use glycolic acid and can take anywhere from 10 minutes to a half hour to complete. You can purchase an alpha hydroxy acid peel or you can opt to have the procedure done in a doctor’s office. Please note, that after an alpha hydroxy acid peel, skin tends to appear more irritated and redder than it would with a standard alpha hydroxy acid product. This side effect is usually short-lived and clears within a few days. Who doesn’t want smoother looking skin? Everyone does, but it can be easy to overdo it with harsh scrubbing which can leave skin irritated or inflamed rather than glowing. Skip the grainy exfoliants and choose a gentle but effective alpha hydroxy acid (AHA) and beta hydroxy acid (BHA) product which works to dissolve skin cells. 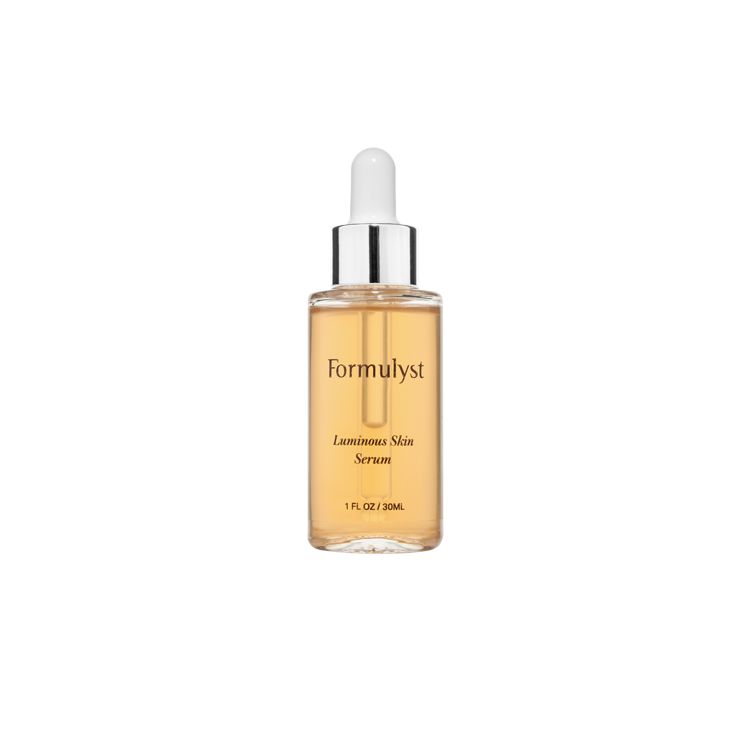 Formulyst Retexturing and Perfecting Serum contains plant based acids to gently slough off old skin cells, leaving behind fresher, smoother looking skin. The serum also works to tackle unevenness and blotchiness.